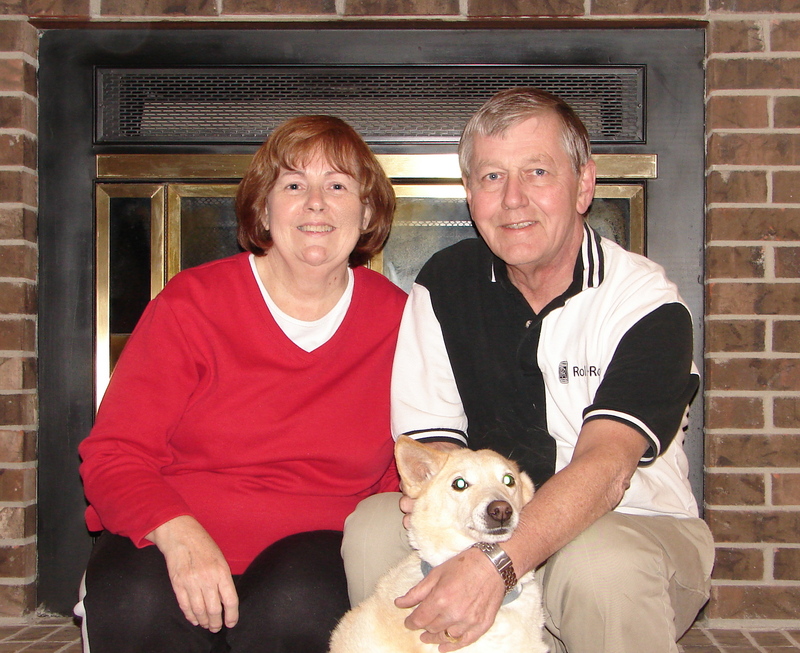 We are Sandy and Bill, presently living in central Indiana. We are the parents of two (Bryan & wife Vicki and Jill & husband Jim), grandparents of five (Chelsea, Alaini, Emily, Megan and Jack). Goldie is our 16 yr old furry companion. After 26 years, I (Sandy) retired from a suburban public school district in June of 2011. My first goal in retirement was to de-clutter our home and get it ready to put on the market in the spring of 2012. Even though the de-cluttering goal was set in motion big time from June through October in 2011, we had a set-back in “my” goal to putting the house for sale in 2012. Bill had planned to work until he was 66 (January 2014). It was our thinking that it might take some time to sell our home in 2012, maybe up to a year, because the real estate market had plummeted in the recession years. I thought if we put the house on the market in the spring of 2012, we would have the time to wait it out while Bill was still employed. Then, if we sold, I would move down to SW Indiana and oversee building the new home while Bill remained up in central IN and worked until the house was built. The set-back happened in November 2011 when Bill had to have surgery on his arm. Did I mention that Bill was making all our cabinets for our new house? Well, the surgery not only set back “my goal” it also set back Bill and his cabinet building while his arm recouped. In addition, Bill decided he did NOT want to live in an apartment if we sold the house. I think God had a hand in all of this and guided both of us to decide to delay putting the house on the market until spring of 2013. I live in a sea of engineers and to coin a term from Disney – imagineers. Bill is a mechanical engineer and so is our daughter Jill. Our son-in-law Jim is a land and survey engineer. Jim’s family owns an engineering firm and a construction company. Jim and Jill have been a tremendous help to us with our house planning – hence the imagineers comment. They designed and built two homes themselves and Jim has drawn up all our plans for our new home and helped us change them many many times. I, on the other hand, am the organizer, planner, and idea person. I get an idea and then ask my engineer family how they can make it happen. Arlene, yes, you should do a blog. Would love to hear about your fishing adventures. I hope to keep it up, too, Marti! Right now I’m trying to get the blog up to present day happenings and part of me wishes I had started this right after I retired. However, I was still finding my way around retirement then and very busy getting the house de-cluttered. Lots and lots of changes coming our way this year. It’s scary and exciting! Thanks for reading!